Hand made in Africa. 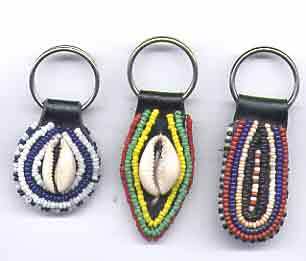 Great for key chains as well as purse zipper pulls. The lengths vary. The average length is about 6 inches. The tassels are made from leather.